I'm thankful for my job! I love the company I work with for. My leadership team is amazing and they make it possible for me to have a successful career, a fabulous fun quilting hobby, and to be a Rockstar single mom. Also, I follow Olie & Evie on IG! I am grateful for the sweet kids in my class who ate lunch with half day preschool today and loved it. I am so grateful for our fun sewing/quilting community! I love seeing what everyone is up to and get so many ideas! I'm grateful for my husband!!! I followed Olie and evie on instagram :) Thanks to you and them for the chance to win. I'm thankful that the eye surgery my dad had today went well and everything is okay with him. I visited the shop - my favorite thing is anything from Olive's Flower Market! I follow Olie and Evie on Instagram! I am thankful for my husband who does not mind my fabric addiction. I'm grateful that both of my college kids will be home for Thanksgiving! Olie and Evie are now one of my favorite Etsy shops. I am so very grateful for a job to support both my family (and my quilting addiction). I am so Thankful for the love of my family. We have lost so many beautiful people that I am grateful that I have my 2 sons and my brother. 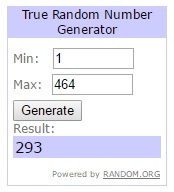 Thank you for a generous giveaway! I follow their blog and on Instagram. Grateful for my little grandson. I like the Desert Bloom layer cake in their shop! follow Olie and Evie on Instagram! I am grateful that I took time to watch the beautiful colors in the sunrise. The color and light at sunrise always makes me feel in awe. I'm grateful to be spending Thanksgiving with my mom who is batteling cancer. We lost my dad to it this summer so I'm so thankful Mom is still with us. I am thankful for getting to spend the morning with my youngest in ECFE today. I love Olives Flower Market fabrics. Thankful for each and every day. I'm thankful for a wild and crazy family and a husband who give me time to be creative. I favorited on Etsy and followed on facebook! I am Grateful for my Stash! 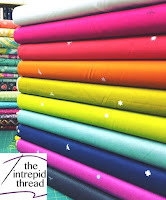 I love Fabric and would love some from Olie & Evie. I am grateful for family, friends and a great job. Grateful that we didn't get the 50 plus in. of snow that my home state got yesterday. I am grateful that I can handcraft Christmas gifts for my granddaughter! Thankful for the sunshine and cooler weather. I'm grateful for the support of my children. today, I have a nice cold and I am grateful for my husband who is taking care of me. He is even cooking meals and cleaning dishes and taking care of the cat. He is so a keeper. Yup. I am grateful the elections are over. I am greatful for my missionary son, who happens to be coming home the week before Christmas!!! I'm grateful for the the quilters/bloggers/companies who share their ideas & keep us motivated! I am thankful for family, friends and health! I amde Ollie and Evie a favorite of min. So thankful for a faithful and loving husband! I'm grateful for perspective. I've needed it lately. Today I'm grateful for have a quilting time. As always, I am grateful for my family and friends and everything that I have! 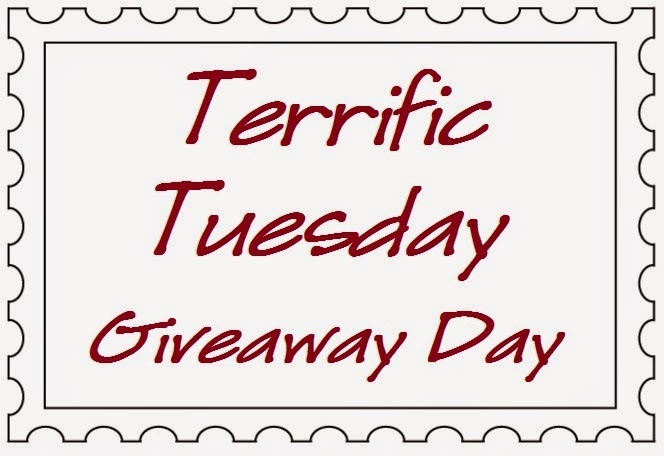 Thank you for having another fabulous give away! I visited their shop and found more than a dozen items that I would love to have. But, with it being this time of year, I have to discuss it with my husband and go from there before ordering anything. I will also be signing up to follow them on facebook. Thank you for the great give away! I am grateful for family and friends. And for the good teachers of my boys. I'm grateful that my daughter arrived safely for Thanksgiving! Today I'm thankful for my inlaws. They go out of their way to serve and love their children, grandchildren, and everyone who is blessed to know them. I am Thankful for my daughter who took care of me for two weeks while I was down from surgery. I am grateful for my family's health. I am grateful for a sewing machine that works and hopefully some time to work on Christmas projects/presents! I am grateful for all the blessings I have: great husband, beautiful home & my loving fur baby! I follow O&E on Instagram. Thankful for the wonderful friend I had lunch with today! Thanks for the giveaway. Today, I'm grateful for getting dismissed from jury duty! I follow Ollie and Evie's blog with Feedreader Online. Thanks for the giveaway. I think the popsicle pattern at Olive and Evie is really cute. SO THANKFUL FOR ALL OF OUR LOVED ONES! I am grateful for my wonderful family and that my eyes are still good enough to pursue my love of quilting! Happy Thanksgiving all! I am grateful for all my good friends! Thanks! I am a follower of O&E on Facebook! I am thankful for Jesus Christ and His saving love. Two of my children have been far away, so I am grateful for time to visit with them soon! And I am thankful God has kept them safe in their travels. I'm grateful for my family's health! I am grateful for my new job. Learning lots of new things. I'm grateful for our county community center that provides some exercises for seniors with a very little fees. I am grateful for my wonderful husband of 37 years. I just started following Them on IG and made their shop a favorite. What a great selection of goodies! I am grateful that my grand daughter in law is feeling better after having 2 emergency surgeries in two days. I'm grateful for a warm home and my family. Thankful for our first grandchild this year! Lots of beautiful layer cakes, but if I had to choose Colette is calling my name. I've just favorite-d their shop. I know it isn't original, however, I truly am thankful for my wonderful family, they are the reason I wake up everyday!! Simply put, I'm so very thankful for our four grandkids, they are the light of our lives. Thanks! Happy Holiday. I'm grateful for the technology that brings the world closer together and helps me make new friends in the universe. I am also grateful for a teaching job that allows me to be a growth cheerleader for every kid I am lucky to engage with every day. Some kids, some days, school is the only positive in their life! I am thankful for my family and my salvation,food on the table and a warm place to sleep. I'm grateful that I will see family this holiday. I am grateful for my sweet granddaughter. I'm following Olie and Evie on IG. I am greatful for amazing quilters such as yourself who are eager to nurture the creative spirit in all of us! I am grateful to my family for supporting and encouraging me in my creative endeavours. I follow Olie and Evie on Instagram. Thanks!! I am thankful for 5 days off of school. Maybe I will get to sew a little. I am grateful to have a warm home and to have family and friends to share the holidays. I am grateful for the fact that my 94 year old mother will be joining us this year for Thanksgiving! I am thankful for continued good health as I age and a loving family. I'm thankful that the sun comes out here in eastern Washington, even on cold winter days. I went over to the shop and particularly liked the Grand Canal charm pack. I looked at their etsy shop and want bumble berries collection! I am grateful for the news that our Cocker Spaniel does not have cancer, but instead an inflammatory condition that can be treated. So thankful to have that happy little guy with us for some time to come! Im grateful for my sweet hubby joining me online with a weight loss program. Were doing this together. Hi, Melissa - I already have Hearted their shop and enjoy their fabric selection. 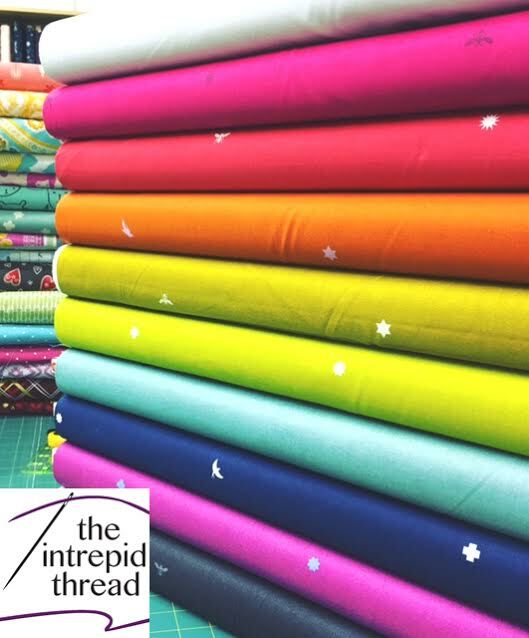 Picked them as a favorite shop and found quite a few favorite layer cakes, yummy fabric. Family and friends, day in and day out. Thank you. I am so grateful for my husband of 25 years, 20 of which have been happily retired and sewing. I check out Olie and Evie on FB and on their blog. I'm so grateful that my kids are over their stomach bug from last week! I'm grateful that I get to hang out with my sister and her kiddos once a week for lunch. I am grateful for my family and my sweet grandchildren. I am thankful for my Grandkids. They bring such fun and happy times into our family. I am grateful for the love and support of my husband in difficult times. I am grateful to be spending the holiday with some of my kids and both of my grandkids! I am following Olie & Evie on Facebook. I am grateful for my family for being in good health. Thanks for the giveaway. I'm grateful for the satisfaction and enjoyment I get from quilting! Grateful for family and friends. They still love me in spite of myself! I am grateful for family, friends, and my quilting stash! I'm grateful for my parents, who never give up on me and taught me all I know. I am grateful for my family and our good health. And tomorrow my son comes to visit, hooray! It's Thanksgiving and I am very grateful foe my family. Checked out the shop and I love the Hey Dot layer cake! I hope I am lucky enough to win and I can pick that! 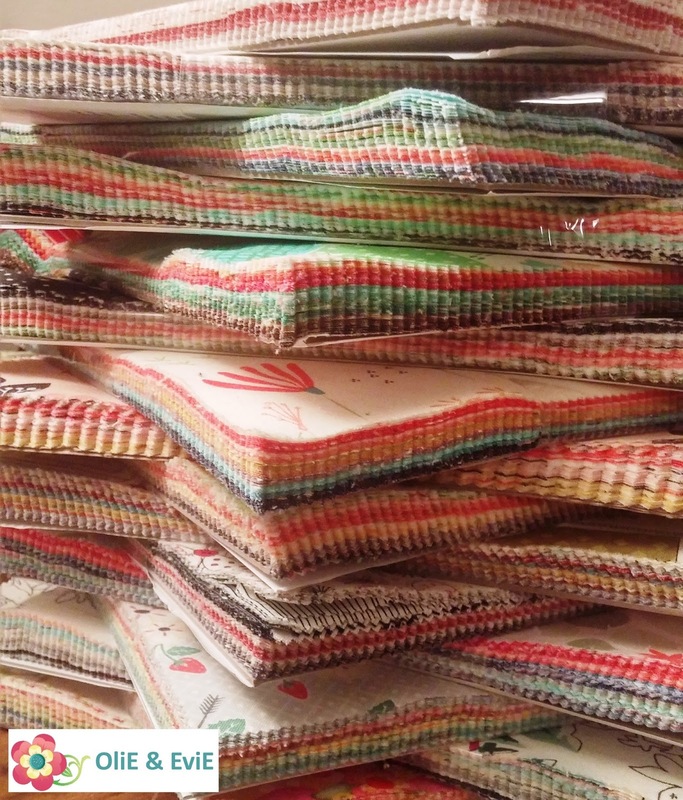 I like the Sew 'N Sew layer cake - I love sewing notion fabric! I love the Love Layer Cake. I am grateful for my health. I am able to walk,see and hear. I'm grateful for my husband doing some handyman work around the house before we go out of town! I love the Hazelwood collection from the Etsy shop! Love the prints and the colors. Today, I am thankful for God's blessings in bringing a sweet, healthy baby boy into my neighbor's family. Today I'm thankful for my neighbor who helped my rake leaves. It's always such a chore to get that done! The Desert Bloom collection is one of my favorite lines of fabric. Glad to see Olie and Evie carry it! I'm grateful for time off work to spend with my family. I am thankful for the health and well being of my family. With a mother who is 91 years old who I Quilt and sew with every Monday, Wednesday and Friday and we are working on a layette for the new baby great nephew due in January. Life is good! I follow Olive and Evie on instagram! I'm thankful to have my son and DIL for the holiday. Thanks!